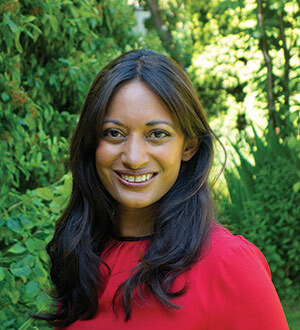 Dharshini David is an economist and broadcaster. From 2009 she fronted Sky News’ daily financial coverage from the heart of the City, as well as co-presenting the channel’s flagship Sky News Tonight programme. Before joining Sky, Dharshini advised Tesco’s board on broadcast media. Prior to that, she was the face of the BBC’s Wall Street coverage in New York. She was recruited by the BBC while working on HSBC Investment Bank’s trading floor as its UK Economist. The Almighty Dollar is her first book.